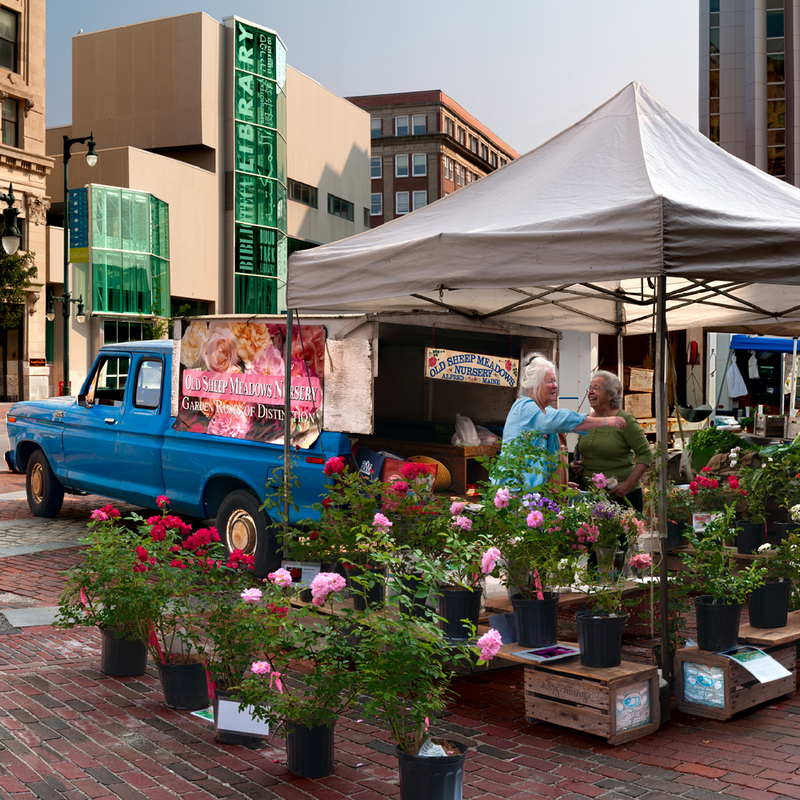 Location: Portland, Maine • Date: 7/20/11 • Standard Print (w & h): Image: 22.0" x 22.0"
This image of the Portland Farmer's Market is composed of 25 individual shots taken at 140mm. I took these shots at 8:00 in the morning, just as the market was opening. Originally I was attracted by the lines of the tops of the buildings and the tent. Then the angle of the truck, which seemed to have dumped the tent, flowers and people onto the bricks of Monument Square, caught my eye.